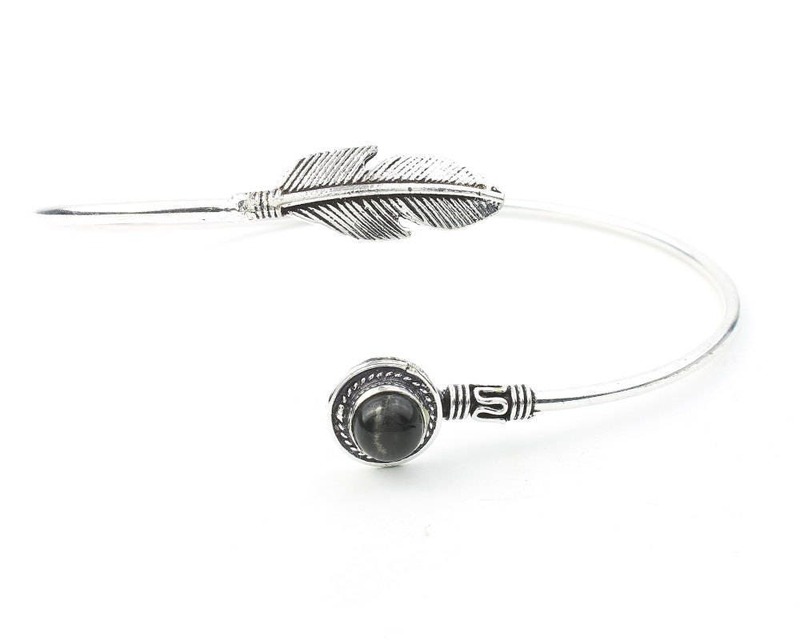 Lovely feather detail wraps around to a Black Onyx. Note: This is a genuine gemstone piece. These stones are made by nature. Each piece is unique and may vary slightly from what is pictured. This piece is adjustable to fit any arm size.